An innovative and modern approach to skincare for sophisticated men who enjoy to take care of themselves! 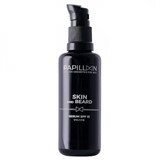 Papillon London Cosmetic for men is a brand born in London and designed especially to meet masculine demands. With premium ingredients and thoughtful packaging, this brand will surely win over the most distinct men!